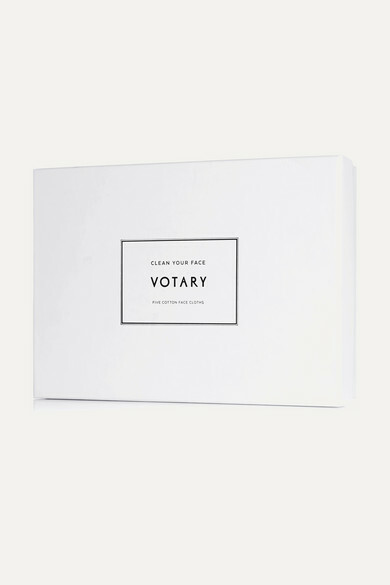 Votary's founder Arabella Preston says these cloths are her secret to an effective beauty routine - that's why she uses them every morning. Made from soft cotton-terry, they gently lift makeup, remove lingering cleansers and sweep away dead skin particles, leaving your complexion refreshed. This set includes one for each day of the work week.